As we know, moving and real estate often go hand in hand, and though we'd like to dictate when we move and when we buy a house, very often other circumstances can emerge and force us to sell, buy and move anytime of year. But having to buy a house in the winter is not the worst thing that can happen. In fact, here are some advantages that show how you could benefit from house hunting in the winter. The most obvious plus of buying and moving in winter is exactly because real estate wisdom says to shop spring and summer. As a result of this popular piece of real estate advice, there will be fewer buyers in competition during the winter months. It's simple economics—the low demand will work in your favor. So for the investor looking to find a good deal in the housing market, the winter can be prime time. 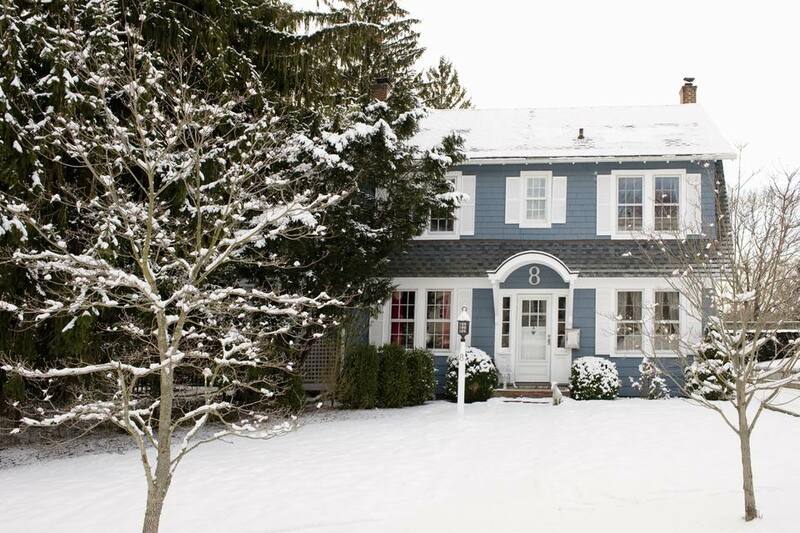 In most markets, winter usually means a lower inventory with fewer houses on the market. While this is often the case, it's possible to find the right space and with fewer people looking, you'll have less competition. When you have fewer buyers in the market, supply exceeds demand. This usually results in prices being lower than during the hot or peak season. All the low activity in the winter will result in sellers being far more motivated to sell. Real estate agents know that the slow winter months are when sellers are more willing to negotiate, whether it is on selling price, closing costs, closing date or even terms of the sale, including what household appliances and items are included in the sale. And these are all the very reasons that many real estate agents recommend that their clients delay listing their homes till at least the spring. The winter is not a great time for sellers, in general. Furthermore, there are the circumstances hinted at above when sellers are forced to sell during the winter. Perhaps a job offer has dictated a winter move, or the seller may have personal issues that are dictating his/her actions—financial issues, divorce, etc. Again, this may work to the buyer's advantage as the seller will be very motivated. Another reason that winter can be such a buyer's market for real estate is that the fewer number of buyers competing for homes means that the chances of there being multiple offers on a single property are greatly reduced. This again translates to buyers having the upper hand over sellers in the negotiations. So brave the cold, pull on a winter coat, and get out there and house hunt. Remember that in the U.S., it is still a great time to invest in real estate. Prices are low and so are interest rates. Is Corporate Housing the Right Choice for Your Move?